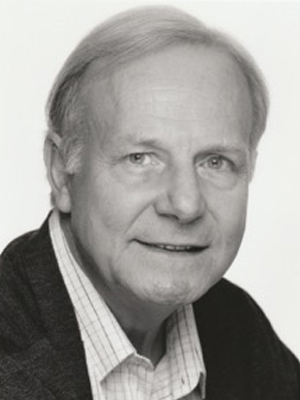 David was a leading member of Cambridge Footlights before becoming an actor and playwright. As an actor he is best known for his TV work which includes the iconic villain Davros in Dr Who and Simpkins, the Pathologist in A Touch of Frost. Other TV credits include Tenko, Mapp and Lucia, Rumpole of the Bailey, Lovejoy, and most recently Mr Sloane and Cuffs. Recent theatre work includes Chasuble in The Importance of Being Earnest (UK Tour) and Montague in Romeo and Juliet (Singapore Repertory Theatre). David has also written and co-written more than a dozen plays, including five broadcast on BBC Radio 4. His most recent play, Hector, toured Scotland in 2015 ending with performances at the Traverse Theatre, Edinburgh and the Ambassador's Theatre, London.